Melbourne sightseeing tour for sports fans. Visit Flemington Racecourse, Commonwealth Games Athletes Village, F1 Grand Prix Circuit and explore behind the scenes of The Melbourne Cricket Ground. Lunch included at Etihad Stadium/Docklands. Enjoy a sports focused City Sightseeing morning. Visit Flemington Racecourse, and Albert Park F1 Grand Prix Circuit. 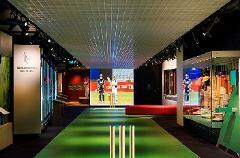 Explore the interactive National Sports Museum at the MCG. Lunch included at Marvel Stadium/ Docklands Precinct. Melbourne City Experience for Sports Fanatics! Explore Flemington Racecourse, Commonwealth Games Athletes Village, F1 Grand Prix Circuit, National Sports Museum & Rod Laver Arena. Includes Lunch at Marvel Stadium/Docklands Precinct. 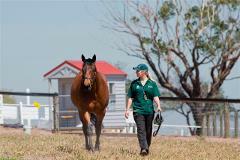 Enjoy morning tea at ‘Living Legends’, an old homestead farm/Race Horse retirement village which is home to our favourite champion Race Horses. Enjoy lunch & wine tasting at a country winery then beer tasting at a country pub. A tour for Horse Racing enthusiasts. Tour behind the scenes of the MCG & National Sports Museum including the Champions Racing Museum. Visit 'Living Legends', host to our favourite retired champion racehorses. Docklands lunch included. Explore behind the scenes of the venues that host Melbourne's renowned international sporting events. Discover the coach’s box, media centres and exclusive member areas. Smell the liniment in the change rooms and walk on the hallowed turf. Explore behind the scenes of Melbourne’s world class sporting venues including MCG or National Sports Museum Plus Rod Laver Arena. 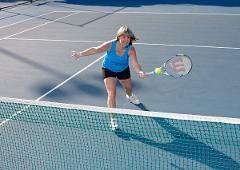 Imagine you’re in The Australian Open and play tennis on world class Showcourts. Explore Melbourne from the ground & above including The MCG Tour, Rod Laver Arena Tour Or National Sports Museum. 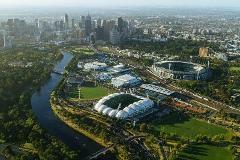 Take a bird's eye view tour of Melbourne's sports precincts from Eureka SkyDeck plus experience “The Edge". Includes Lunch. Melbourne sightseeing Tour explorin Melbourne from the ground & above including The MCG Tour Or Rod Laver Arena Tour Or National Sports Museum. Take a bird's eye view tour of Melbourne's sports precincts from Eureka SkyDeck. Includes Lunch. 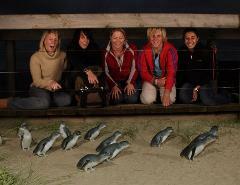 Melbourne is the ultimate sports capital with an abundance of unique wildlife. Discover Melbourne’s greatest attributes including a sports focused city sights tour, MCG Tour, Moonlit Sanctuary, The Nobbies & Phillip Island Penguin Parade. AUSTRALIAN RULES FOOTBALL - with a local host! Experience the unique game of Aussie Rules 'footy', with a local host to explain the rules, bumps & bruises. Small group, personal experience and the best seats in the house! 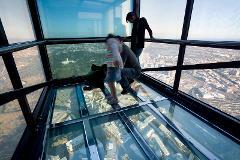 Melbourne sightseeing tour for sports fans. Visit Flemington Racecourse. CHOOSE Melbourne Cricket Ground (MCG) OR Rod Laver Arena (RLA) Behind The Scenes Tour OR National Sports Museum. Lunch included at Marvel Stadium/Docklands precinct. 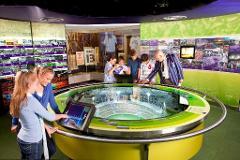 Celebrate Australia's strong sporting tradition and heritage in the interactive National Sports Museum. 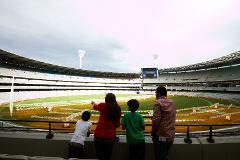 Explore the inner sanctum of the MCG, walk on the hallowed arena on a guided Melbourne Cricket Ground tour! Nowhere in the world will you find a museum that celebrates a nation's rich sporting history like the National Sports Museum at an unmatchable venue like the MCG. Melbourne is at her best with Sport & Beer. The sporty city tour includes an MCG Tour or National Sports Museum. Lunch included in the Marvel (Etihad) Stadium/Docklands Precinct. 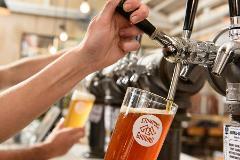 Tour & Tastings at Stomping Ground Brewery and Beer Hall. 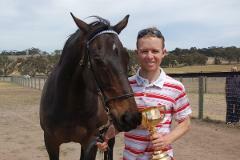 Devonshire tea at ‘Living Legends’, a racehorse retirement village which is home to our favorite champion racehorses. Enjoy lunch & wine tasting at a country winery then beer tasting in a classic Aussie pub in a traditional country town. Unique sightseeing touring behind the scenes of Melbourne famous sporting venues. The MCG, Rod Laver Arena Or Eureka SkyDeck, National Sports Museum. Itinerary to suit your needs, lunch and transfers included.